When Austinites want to spend time by the water, Lady Bird Lake, stocked with fish and ringed by pedestrian trails, is a popular choice. 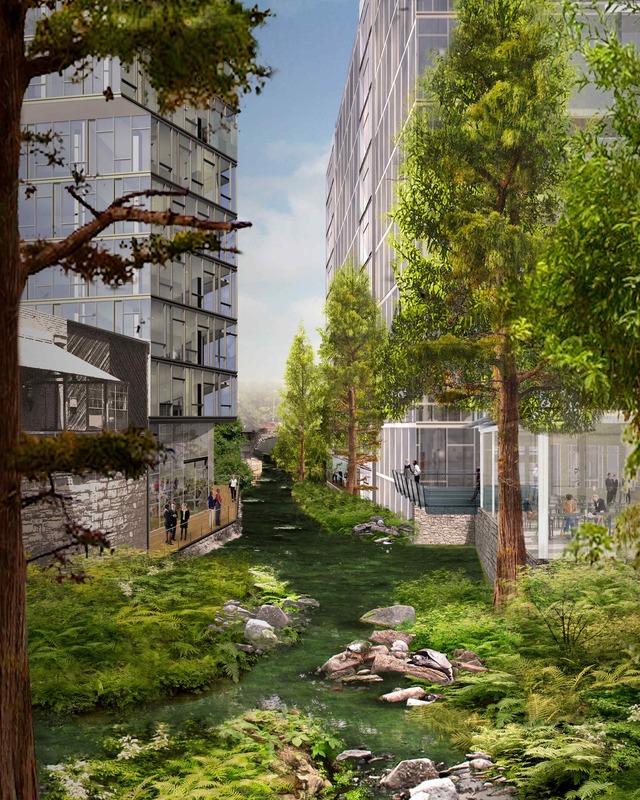 Not so for Waller Creek, which wanders through downtown Austin before it empties into Lady Bird Lake—the waterway is partially channelized, eroded, and polluted. 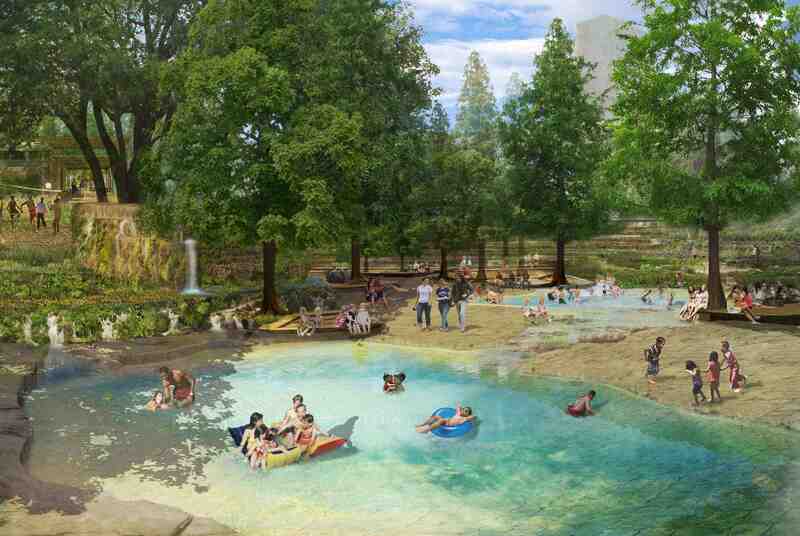 But there are plans for it that will give locals a chance to love Waller Creek as much as the lake it feeds. 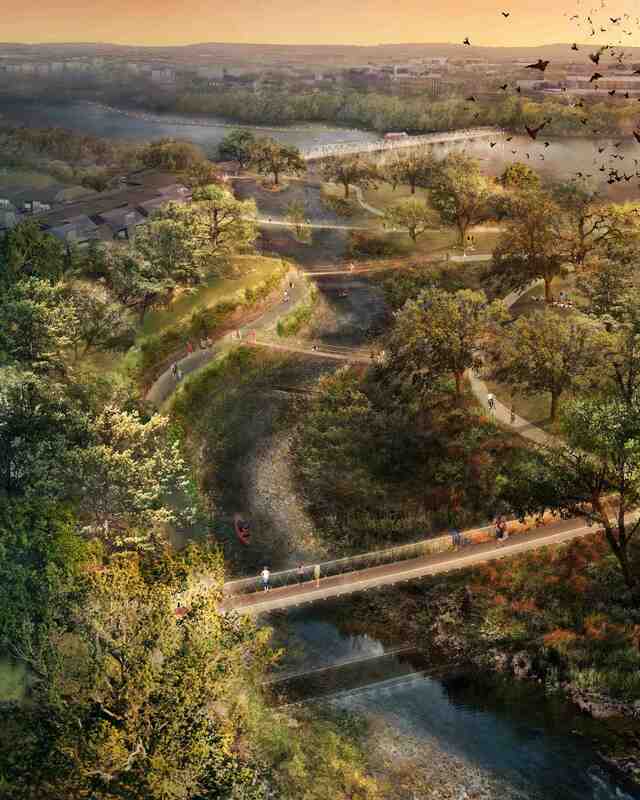 An international design competition hosted by the Waller Creek Conservancy asked designers for their visions for the lower 1.5 miles of the riparian watershed, and they just announced the team of Michael Van Valkenburgh Associates, Inc., and Thomas Phifer & Partners as the winners. The team’s design is a chain of parks in five connected districts: The Lattice (at left), The Grove, The Narrows, The Refuge, and The Confluence. CultureMap Austin reports that the Waller Creek Conservancy hasn’t gotten a chance since the announcement to meet with the winning team and discuss finances and timing, so more information will be coming soon. The MVVA Team was one of four finalists that included CMG and Public Architecture; Turenscape and Lake│Flato Architects; and Workshop: Ken Smith Landscape Architect, Ten Eyck Landscape Architects, and Rogers Marvel Architects. Images from their entries are below. To see more, visit the competition website. The last picture (Urban Canyon) is absolutely fantastic. Very nice work. But, unfortunately, such is not often found in reality.